Several years ago I went to get my eyebrows waxed and the aesthetician proceeded to wax my face without asking. I was stunned, to say the least, and what ensued for several months was nothing short of a skin nightmare. I’ve never had pimples, but immediately after the wax job my skin looked like I had a bad case of cystic acne. My face flared up, became blotchy and was super reactive to just about anything I put on my skin for a solid six months. I was upset because what the aesthetician did was completely uncalled for and horribly unprofessional. And to make matters worse, it appeared that I had a severe allergy to her wax. This goes to prove that just because the skin around your brows can handle a wax treatment, it doesn’t mean that the more sensitive areas around your face won’t reactive negatively. For the next six months, I had to visit a dermatologist and try several medicated and homeopathic face creams. All in all, my skin did not stop displaying an adverse reaction to makeup and skincare for many, many months. Everything ultimately cleared up and my skin got back to normal, but I avoided wax near my face for years. Enter DERMAFLASH LUXE, and I can tell you it’s been a world of a difference! My skin has never reacted negatively to facial hair removal. I don’t have a massive amount of hair on my face, but like most women I do have my share of peach fuzz. Given my previous skin debacle, I was more than happy to try DERMAFLASH to rid my skin of unwanted hair. 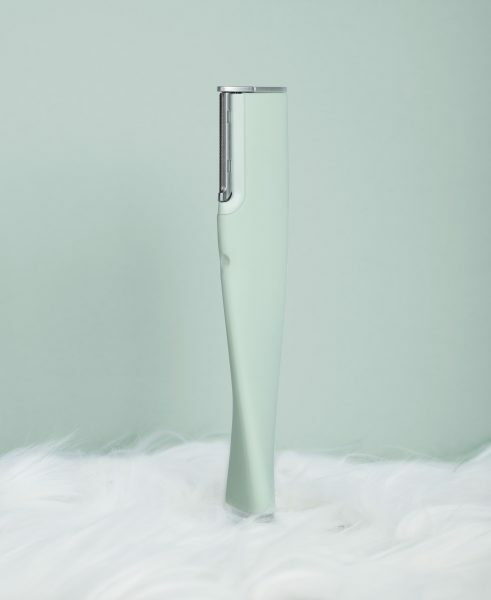 I felt comfortable trying the at-home dermaplaning device because I wasn’t applying anything topical or potentially reactive (like hot burning wax) on my face—and I wanted my face to be free of fuzz. 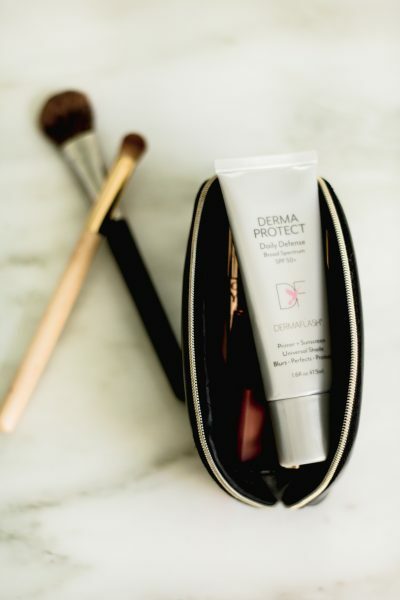 If your skin is sensitive, suffers from contact dermatitis, or flares up at a drop of a hat—especially when exposed to any kind of wax—I highly suggest you try DERMAFLASH LUXE for easy and safe at-home hair removal. I’ve been using the device for quite a while now and not once has my skin reacted badly. I have normal to dry skin, not overly sensitive (unless you count the wax mishap), and my skin hasn’t suffered any adverse affects when using this at-home exfoliating device. I understand the trepidation of shaving one’s face as a woman. Will I grow a beard or a harsh shadow? Will my hair grow back thicker, faster, darker and coarser? The answer is a hard and fast NO! Ladies, the only negative in this story is that I didn’t discover DERMAFLASH sooner and that I never came across fellow Chicagoan, Dara Levy, until now. 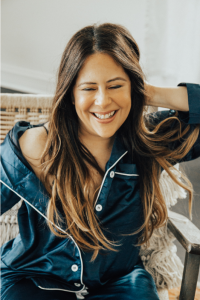 Dara Levy is the founder of DERMAFLASH and the device is pure genius because it delivers a clear, fuzz-free complexion without the sensitivities and redness associated with waxing and threading. Best of all, IT. IS. PAINLESS! So if you haven’t Flashed before, I highly suggest you get ON IT IMMEDIATELY—especially if your skin has been reactive to other forms of hair removal in the past. It’s time, ladies. It’s time we FLASH our faces for a clearer, smoother complexion and put aside our doubts and fears about growing some sort of mythical beard. It simply won’t happen—and neither will a horrible reaction.